It’s finally happening, people. After years of waiting, the stage is set for DC’s two biggest heroes to finally duke it out when Batman V Superman: Dawn of Justice blasts its way into theaters. From the very beginning, the film’s marketing campaign has implored fans to pick a side between the Caped Crusader and the Last Son of Krypton in this war of ideology, and that’s exactly what I have done. When I sit down in that theater on March 25 to watch these comic book icons duke it out I will firmly side with Ben Affleck’s Batman, because he has a much better chance of losing the fight, and I love a good underdog. Let me make one thing perfectly clear before I go any further: I adore Batman – arguably more than any other superhero. That being said, part of the reason I tend to take Batman’s side when he faces off against the Man of Steel stems from the fact that he’s inherently at a disadvantage. We can talk all day long about prep time, or Batman’s strategic prowess, or even the possibility of him obtaining Kryptonite, but at the end of the conversation Batman still has an astronomically small chance of realistically winning. Does that matter to him? It never has, and it never will. Batman understands these disadvantages as well; just comb through his numerous fights with Superman in the source material. 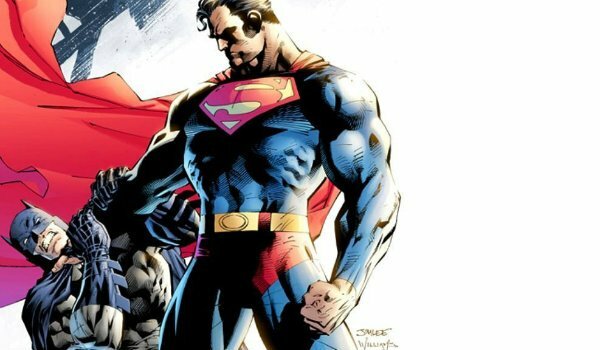 From The Dark Knight Returns, to the recent Batman: Endgame, Bruce Wayne’s inner monologue almost always remarks upon how fundamentally more powerful Superman is, as well as the need to end their fights quickly because sustained combat will undoubtedly lead to Superman winning. Bruce Wayne knows that standing up to Kal-El is a fool’s errand; he understands that but he suits up anyway because he knows the battle is bigger than himself. Superman is an amazing character, but he’ll almost always be on par with the scale of any threat facing Earth. During the events of the recent animated feature Justice League: War, Batman even went so far as to refer to Superman as the "big gun" of the Justice League. I’ll never have the ability to empathize with someone who can go toe to toe with Darkseid. On the other hand, I can at the very least begin to understand the mentality of a man trying to keep up with these gods. Amid all of the insane events that have occurred within the DC mythos, Batman remains undeniably human. Sure, he’s got more training, skill, and resources than I could ever hope for, but he’s a human who wants the best for his own people. In Man of Steel, Jor-El tells Superman that, as a symbol of hope, the people of Earth will race behind him, stumble, and fall. Batman represents the man who puts his foot down and tells God that humanity will find hope in itself, not in the sky. All that being said, the reason I'm siding with Batman in Batman V Superman: Dawn of Justice because – whether he wins or loses – The Dark Knight fundamentally represents the ideas of human perseverance, resourcefulness, and courage against impossible odds. He’s not a walking ideal; he’s a man trying his best to show humanity what it's capable of. Are you unconvinced and still find yourself cheering for the Man of Steel? You can read our Superman defense at this link!